As the Liberal leadership crisis unfolded in Canberra, a special Snap SMS Morgan Poll of more than 2000 voters showed Ms Bishop (64 per cent) ahead of Mr Shorten (36 per cent). Beleaguered Prime Minister Malcolm Turnbull demanded the names of lawmakers in the conservative Liberal Party who wanted him to go before he would allow them to choose a new prime minister at a meeting at Parliament House on Friday. His resignation from Parliament would force a byelection that could cost the government its single-seat majority. His opponents said Thursday they had enough support to oust him, but Australian media reported they did not have enough signatures on the petition. Dutton and his supporters, including former prime minister Tony Abbott who once described climate change as "absolute crap", argue that keeping power prices down was more important than meeting Canberra's commitment to slash carbon emissions by 26 percent by 2030. 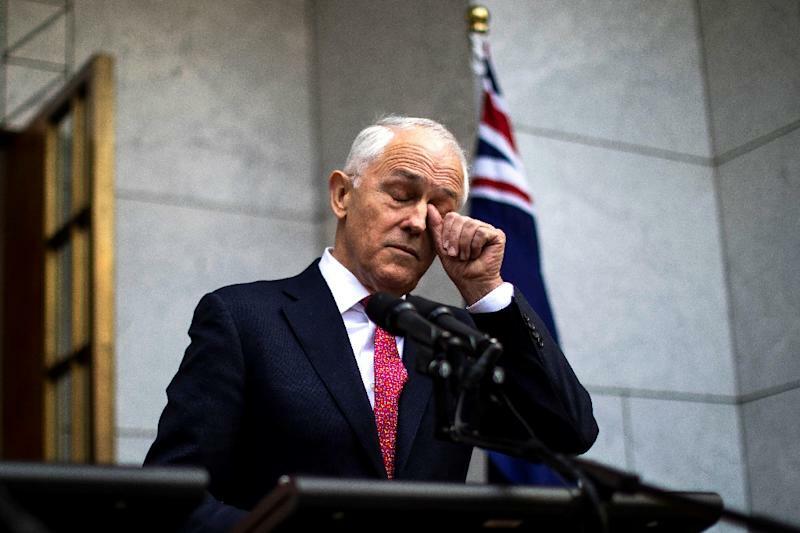 Australia's prime minister has threatened to quit on Friday if his party continues trying to oust him over poor opinion polls. Despite Mr Dutton getting the numbers for a challenge, there is no guarantee he will assume the top job, with Foreign Minister Julie Bishop and Treasurer Scott Morrison - both Turnbull allies - also in the running. Wants to receive solicitor general advice on Dutton's eligibility to sit. Some constitutional lawyers say there are areas of doubt. Three senior Cabinet ministers have told Australia's prime minister that he has lost his government's support and must quickly hold an internal ballot to elect a new leader. Earlier today, Defence Industry Minister Christopher Pyne said Mr Turnbull was "disappointed and philosophical". Labor Prime Minister Kevin Rudd was suddenly replaced during his first term by his deputy, Julia Gillard, who was replaced three years later by Rudd. Dutton was ultimately unsuccessful in the first instance, but the fact he only lost by a small margin 48-35 was considered by many as a fatal wound for Turnbull. News Corp's The Australian today suggests Turnbull's challenger Peter Dutton has "displayed political cut-through" with a plan to exempt power bills from the GST. The next scheduled party meeting is September 11.